Fire is a useful survival tool, but how many ways are there for getting a fire started. When it counts you only need one, but it never hurts to have a few options. In the guide below you will find over 101 ways to start a fire, some of them more practical than others but all worth knowing. This is one of the most helpful reports we've encountered on the subject of starting a fire, so we are happy to share it with our readers. You can download the full guide here. Concentrating sunlight to create enough heat for ignition is one of the easiest ways to start a fire, but it also has several limitations. These methods only work on sunny days, so they are useless at night, and in fog, rain, snow, or overcast conditions. All sunlight-based methods work better when the sun is hot and intense (noon is best) and not as well (or not at all) if sunlight is weak, at morning, evening, or in winter. You actually can start a fire by “rubbing two sticks together” (well technically, you create a coal that can be placed into tinder, and nursed into a flame). 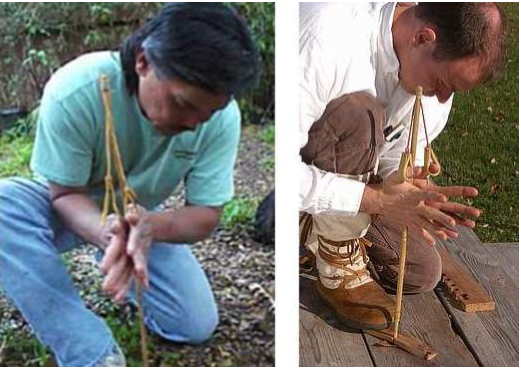 There are several different friction fire-starting methods, with variations for each, but most use a spinning stick on a stationary stick, creating tiny bits of hot wood dust, that build up until they form a small glowing ember. Compression-based fire starting is a primitive form of the diesel principle. Air is forcefully rammed into a tiny space, creating enough heat to cause ignition. 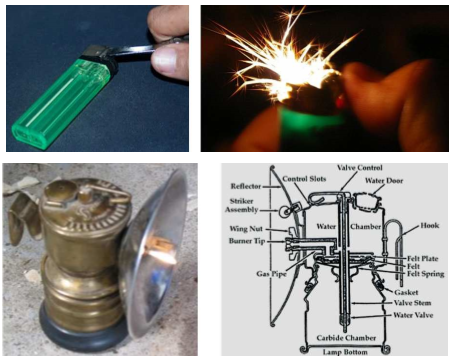 Compression fire starters are called fire pistons. There are several chemicals that will self-ignite when mixed together. Starting A Fire With A Preserved Coal.